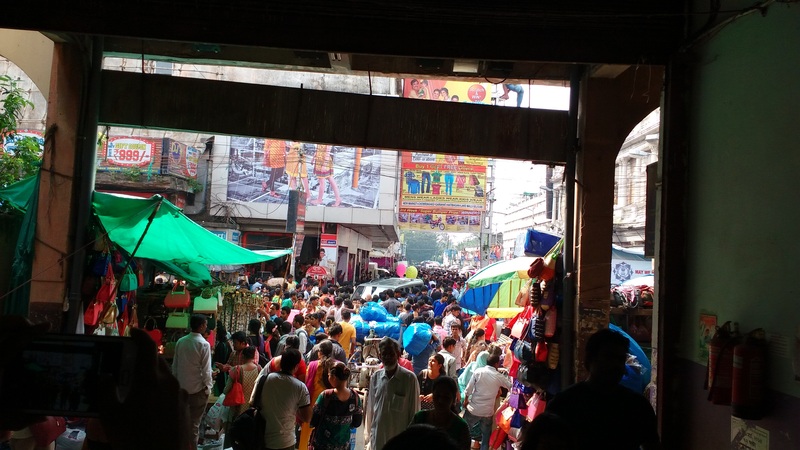 Kolkata central shopping region, in and around Esplanade, is crowded at this time of the year. 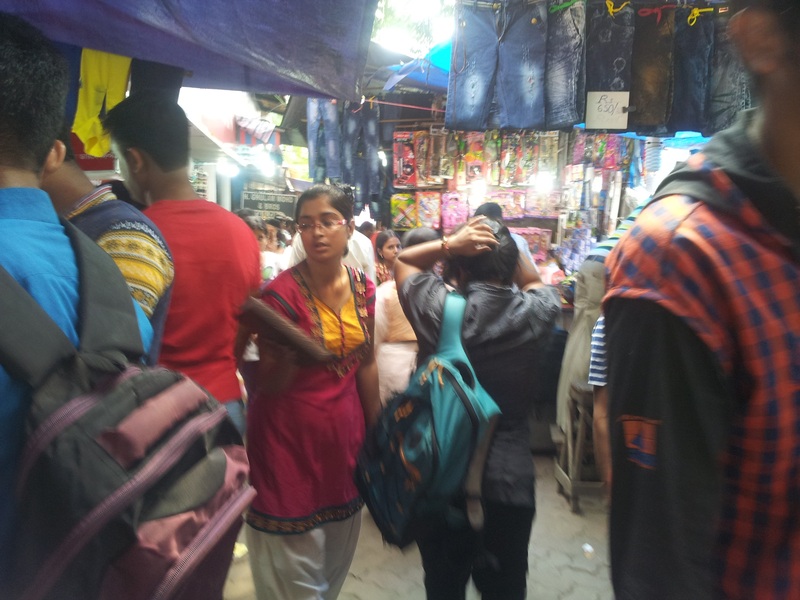 Just before the festival, people are focussed on last minute shopping. My sister had not bought anything for the festival season was waiting for me to get home. Coincidentally, one of my batchmates during Ph.D., Bhanuman a.k.a. 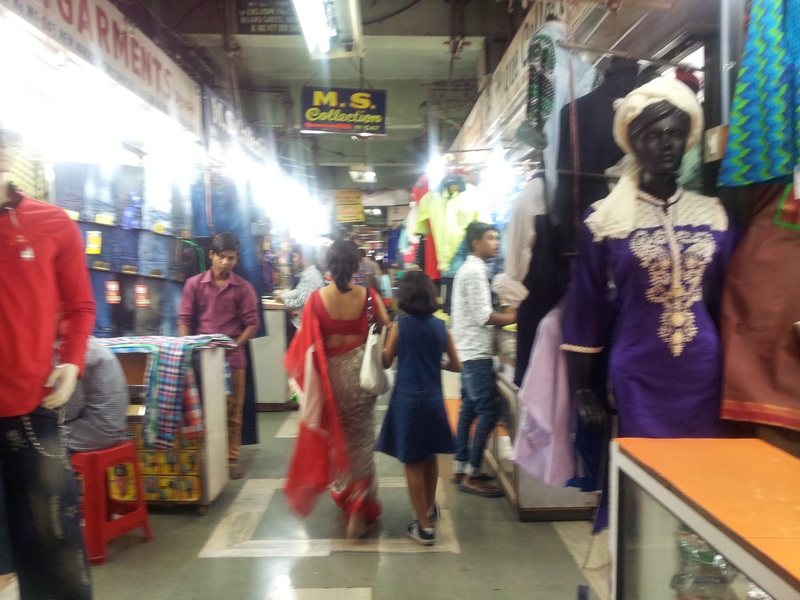 Bhanu, was around and wanted to buy some clothes for his siblings, too. You can probably buy everything for your household from the footpaths of Esplanade. Although the quality of stuff is hit or miss. 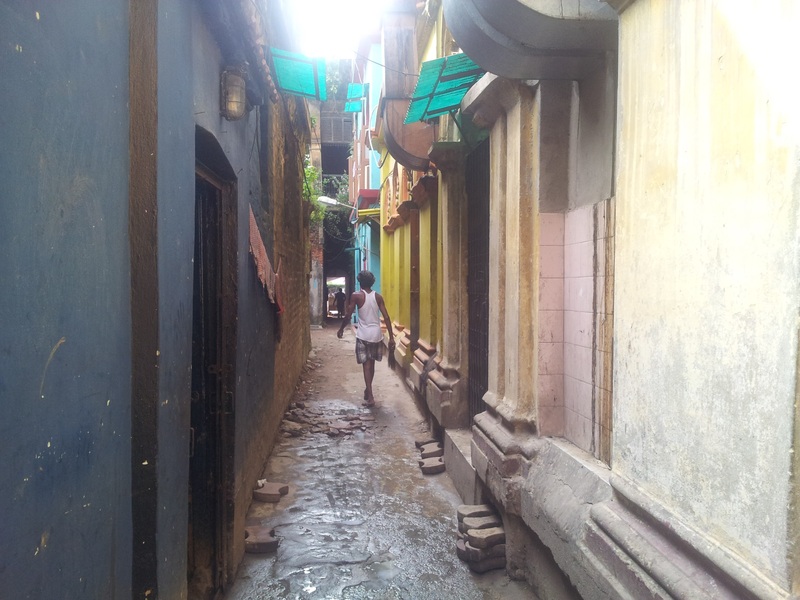 Cul de sac of a corridor in New Market. The prices are competitive here. An upmarket, air conditioned shop doesn’t get that much of a footfall as compared to a local shop that offers a more competitive price. The gates to New Market were swarming with people. 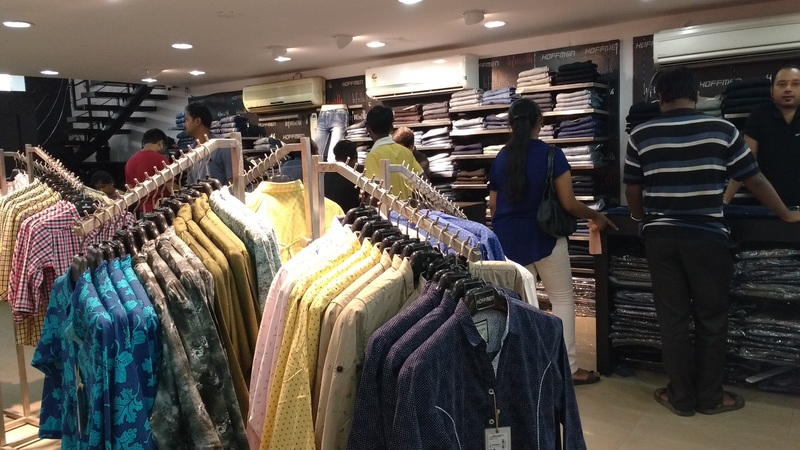 I bought a Polo T-Shirt, my sister bought a pair of jeans and Bhanu bought a few traditional dresses for his sisters and a pair of baba suits (shirt and shorts combo for toddlers and infants) for his nephews. By the time we were done with our shopping, it was already 2.30 PM. We were hungry. The entrance to this place can be easily missed. The small door frame at the far end is the opening to this place. The board, being much inside the corridor doesn’t help newcomers. Bhanu’s appetite has decreased from the time he was in college. Even he admitted to that fact. We ended up wasting a quarter of the noodles. Still, it wasn’t that much of a waste. He also doesn’t eat pork (and I had completely forgotten about that). 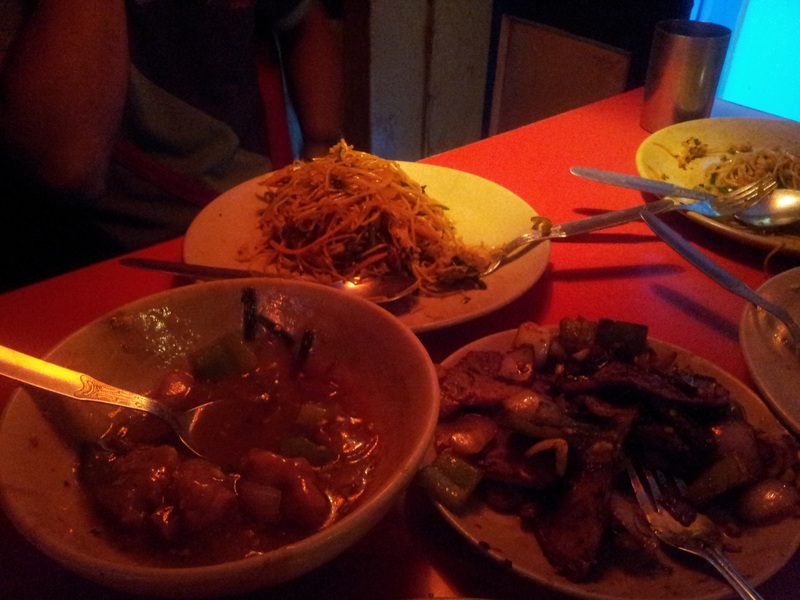 Chicken in Oyster sauce, Fried Chili Pork and Mixed Fried Rice. 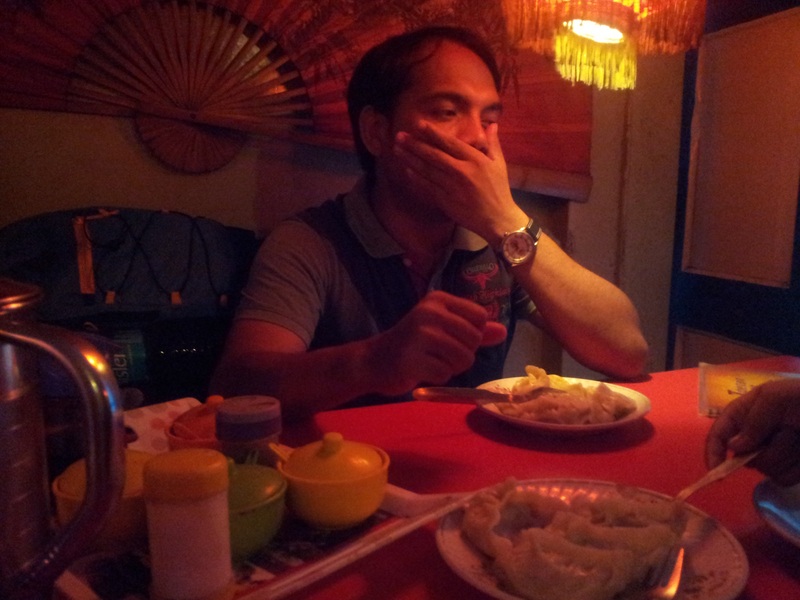 Objectively speaking, the food is not the best Tibetan food I have tasted. The place is not the cleanest place in the world, either. Yet, there is something about this place that I like. My sister also likes the food here. 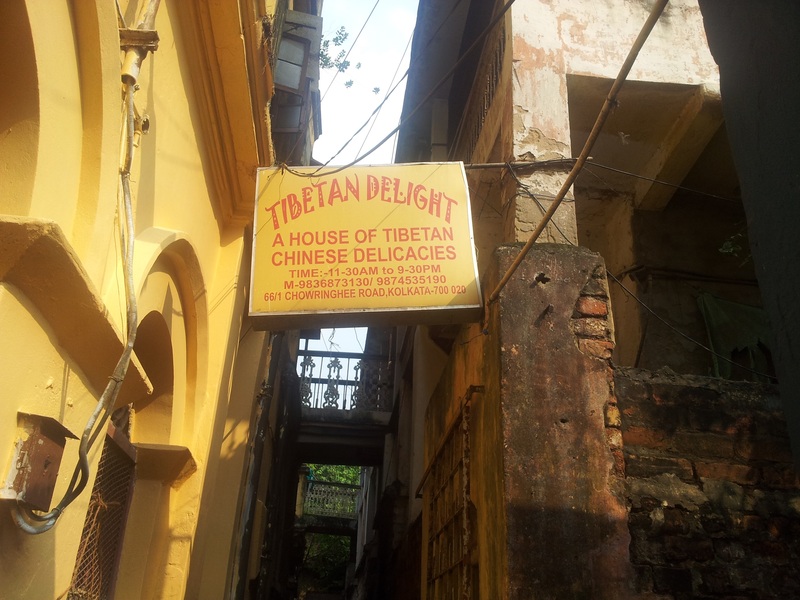 It has almost become a ritual for us to pay a visit here every time I am in Kolkata.